Shown below is Ta-al Falls and Mt. 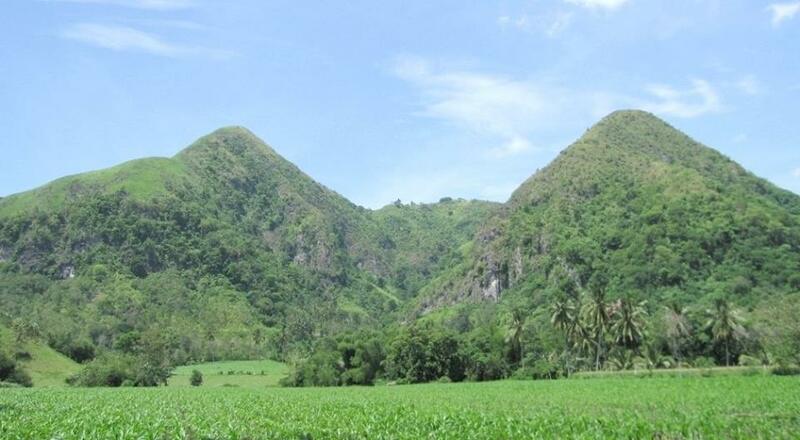 Susong Dalaga in the Municipality of Tampakan, South Cotabato. 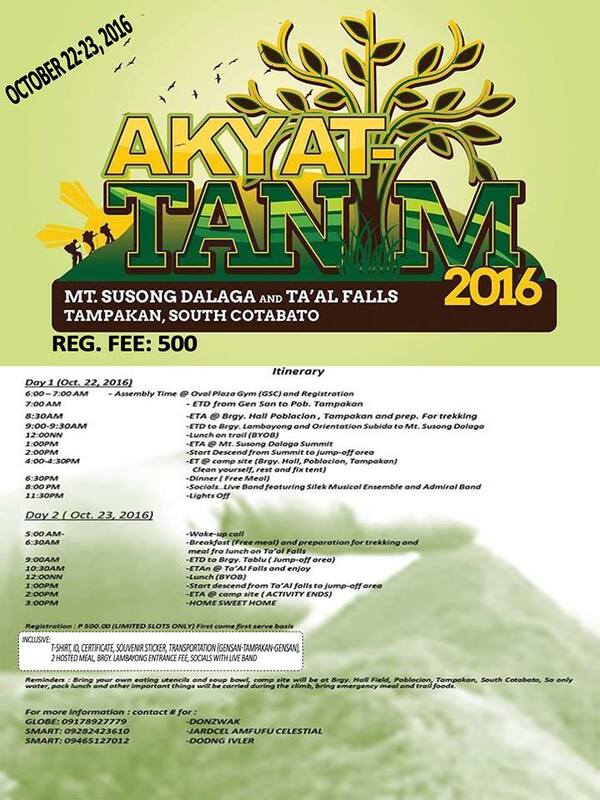 For adventure and outdoor enthusiasts out there who also have the hearts for mother nature, join the Akyat-Tanim 2016, a fun climb to Mt. 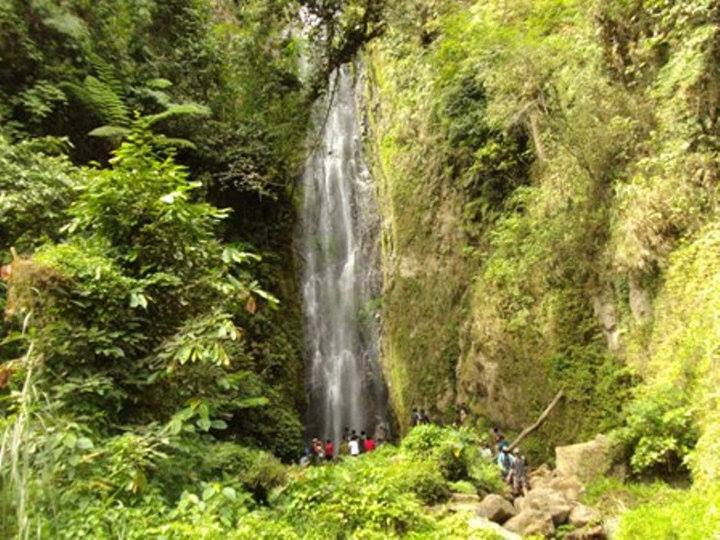 Susong Dalaga and Ta-al Falls happening this weekend! Registration is at P500.00 inclusive of a t-shirt for the first 50 registrants, ID, certificate, souvenir sticker, transportation (Gensan-Tampakan-Gensan), 2 hosted meals, entrance fees, and socials with live bands.